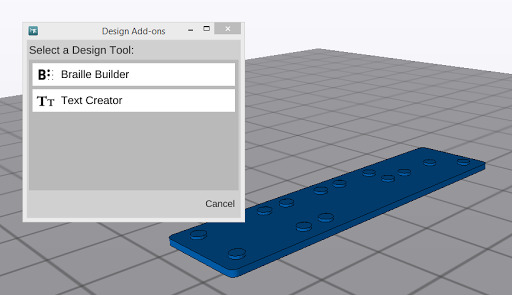 New in MatterControl 1.4, the Braille Builder design tool allows for the generation of 3D-printable braille labels for the visually impaired. It is also an excellent way to explore how braille works. As of release, the Braille Builder supports Grade 1 English Braille, with support for Grade 2 slated to be added in the near future. Braille Builder - A free design add-on. 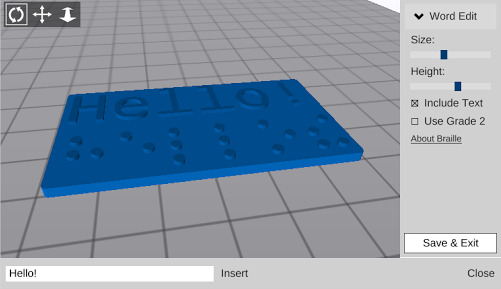 Braille Builder allows for the easy creation of 3D-printable braille labels. This page was last modified on 14 December 2015, at 18:08.